A pencil case is one of the essential things in every schoolbag, but it also makes sense beyond that. Just to have pens and other small things together on the spot. For the cat fans or for those who still want to become one, there is now probably exactly the right case. 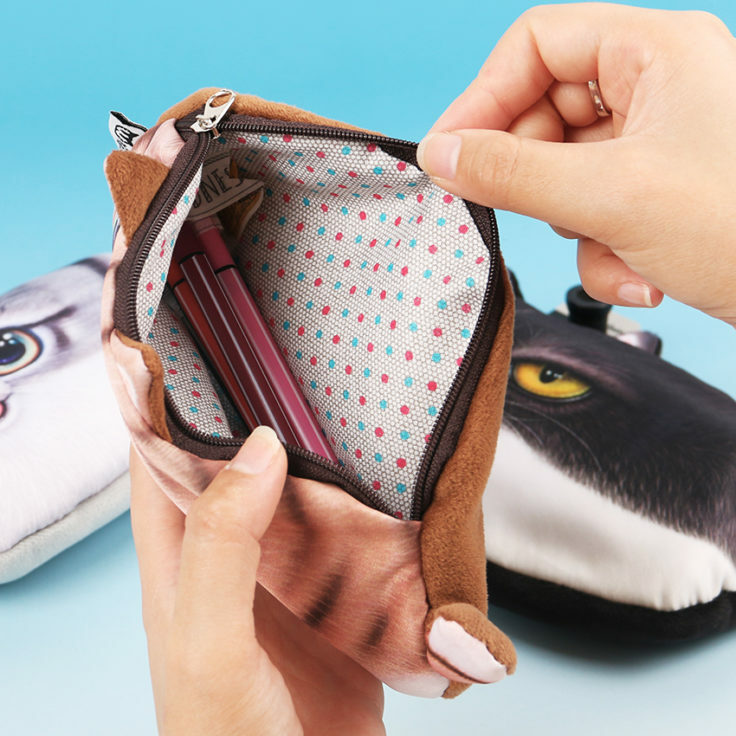 And if you want to do something good for your child for the new school year, let them express their displeasure about the teachers through the Grumpy Cat pencil case. Although the typically bad mood in the mornings is still limited in the childhood years, but at the latest in puberty one is theoretically not addressable in the mornings. If you’re still sitting in class at 8 am and you’re allowed to do the 134th Curve Discussion in Maths, you can use the Grumpy Cat pencil case to express exactly how you’re doing right now. But even if you don’t go to school anymore, you can’t do much wrong with the case. There are also other cat motifs available than the Grumpy Cat. The case is approx. 19 cm long and 12 cm wide and offers space for a few smaller utensils. The kitten can also be used for make-up, for example, or for all these little things that always fly around your office. Surely you will find the right purpose for the cat case and for the price you can not do much wrong. If you are looking for a new case, but you don’t like cats that much, you can certainly find other designs.